3 in 10 people worldwide don’t have access to safe water at home. 6 in 10 people, a full 4.5 billion, don’t have a safe place to go to the bathroom. A recent WHO water report outlines the challenges ahead for providing universal access to safe water, sanitation, and hygiene. The report, a collaboration between the World Health Organization (WHO) and United Nations Children’s Fund (UNICEF) through the Joint Monitoring Programme (JMP), underlines the fundamental importance of water, sanitation, and hygiene to the world’s health and children. The 66-page document, Progress on Drinking Water, Sanitation and Hygiene (2017 Update and SDG Baselines), identifies new, additional categories of access for water, sanitation, and hygiene to more precisely measure the quality and proximity of these resources. For example, having safe water available at home is a significant improvement from having safe water available more than half an hour away. The WHO water report also establishes baseline statistics (from 2015) to measure progress toward the goal of universal water and sanitation coverage established in the Sustainable Development Goals (SDGs), which expire in 2030. 844 million people (about 1 in 10 people worldwide) still lack access to basic drinking water, including 263 million who must walk/wait more than 30 minutes for water, 423 million who use unprotected sources like unprotected springs, and 159 million who collect surface water from lakes or streams. Over 90% of the people collecting surface water live in rural areas. 2.3 billion people still lack basic sanitation (1 in 3 people worldwide), including 892 million who practice open defecation. The vast majority of those practicing open defecation live in rural areas. Only 1 in 4 people living in Least Developed Countries (LDCs) have access to a handwashing facility with soap and water. Although there has been progress, sanitation and hygiene lag far behind water in availability worldwide, especially for rural areas and economically marginalized groups. Perhaps the most significant shift presented by the WHO water report is the enhanced effort to track data on hygiene, specifically, the availability of handwashing facilities with soap and water. Governments and other data-collecting bodies have long neglected hygiene as a necessary companion to safe water and sanitation. 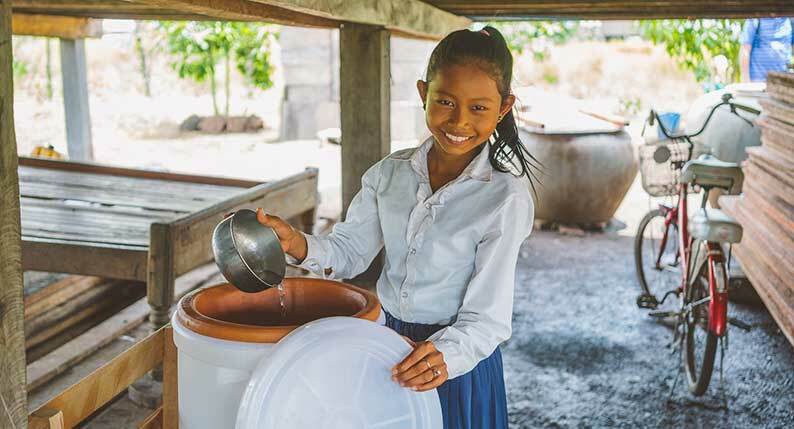 The availability of handwashing facilities can be difficult to track, and reliable data remains sparse, but by establishing and publishing a standard for hygiene, good data will emerge over time. Of the nations with available data, Lifewater is serving 3 of the 4 nations where less than 25% of the population has safely managed drinking water sources (Uganda, Ethiopia, and Cambodia).